If there is one thing that any film fan can agree on, it is that Sir Ridley Scott is the science fiction master of contemporary American filmmaking. With his masterworks of 1979’s Alien and 1982’s Blade Runner, Scott has cemented himself in the cinematic canon as a visionary, whose creativity bursts through the seams of his films. With Prometheus, Scott’s loosely-tethered prequel to his Alien classic, the director once again demonstrated his creative abilities, crafting something unusual amidst the Summer blockbuster season: a science fiction epic that asked grand questions, delving into philosophical notions of creation and delivering excitement and futuristic thrills to boot. 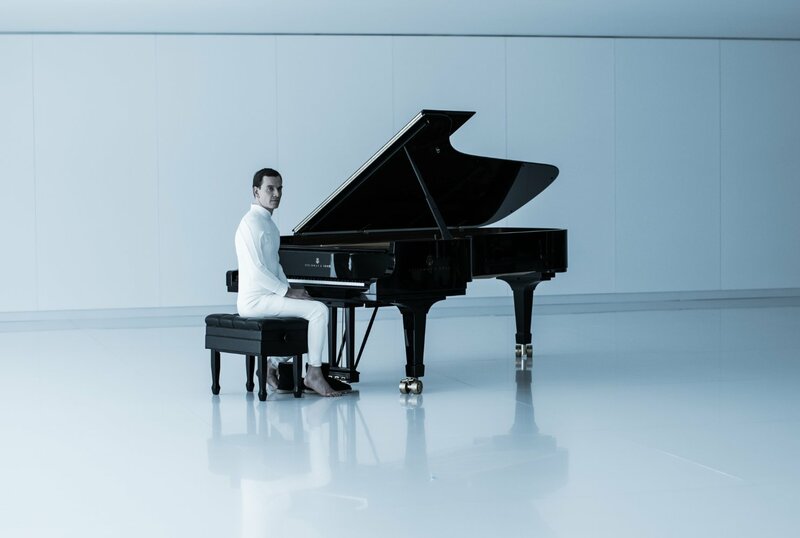 It is with Alien: Covenant, a title that all but confirms Scott’s return to his original film’s universe, that Scott continues his quest to exhibit a more intellectual kind of filmmaking than what we may be used to. As with all my reviews, I’d like to keep plot details to a minimum. All I shall establish is that the eponymous Covenant is a colonization craft, captained by a crew that includes Katherine Waterston’s Daniels, Michael Fassbender’s newly patented android Walter, Danny McBride’s Tennessee and Billy Crudup’s Oram. Their mission? An expedition to an uninhabited planet, with the hopes of starting a new life for the human race. However, a distress beacon is intercepted, and in the vain of the original Alien, the crew’s journey to uncover its origin and purpose leads them to an alternative planet, one that is far more dangerous than meets the eye. From this synopsis, and in light of my acknowledgement of its similarity to the original Alien, one would wonder how closely this strays towards the formula Scott has covered before. As this is officially a sequel to Prometheus, many wondered how far the story would go to explain questions left unanswered by said predecessor, or whether, as the title and similar plot structure suggest, whether Scott would refresh the narrative and cross directly into the path of the Xenomorphs and the original story. The final result? A bit of both, and while this may seem like it’d leave the film feeling confused, it is anything but. Alien: Covenant is a weird, crazy and violent movie, yet one so daring and so ambitious, that it is hard not to marvel at Scott’s creative genius. One should definitely do their homework on the Alien franchise, before checking in on this latest instalment. To elaborate on this point further, the film addresses a number of the core questions of Prometheus, raising an enquiry into familiar themes such as creation, the notion of being. As one character comments early on, is there any more of a fundamental purpose, than to discover where one comes from? This is a principle that permeates throughout the film, and will leave you pondering its ramifications within the franchise for days to come. However, as this is an Alien film, through and through, there is the additional augmentation of the film’s horror aspects. This is a far cry from the lukewarm scares of Prometheus. Scott has injected a serious amount of cinematic toxin into his film, producing genuine scares and some terrifically gory moments that truly harken back to the horrifying original. While there is not a scene that necessarily matches the famous chestburster scene, there is certainly an adaptation of said scene that will have you squirming into the edges of your seat. Combining the two would seem a little insane: the image that strikes one is that of a famous philosopher such as Descartes, pondering at his window as millions of people are ravaged below him by a pack of hungry predators. However, Scott and his writing team of John Logan and Dante Harper, craft something of a wonderment: a film that straddles the line between these two entirely different beasts of philosophical science fiction and horror very carefully, resultantly dipping into both to craft something akin to a nightmare, an intellectual and mentally stimulating terror that taps into some very dark themes. Bare this in mind, Scott’s film is not for the faint of heart. What becomes apparent is that Scott is not only willing to depict a more physical horror but, as with the original Alien, integrate a more mentally affecting horror that proves incredibly effective, especially in the hands of such accomplished actors. Of these actors, it is Michael Fassbender that shines the most. Waterston, McBride, Crudup and co. do a fine job of fleshing out their human characters, but it is with Fassbender and his artificial interactions with man and creature that really fascinate. Suffice it to say, there are a few surprises with Fassbender’s appearance, and it would appear that Scott is firmly resting the future of this franchise upon his shoulders. As with Alien and Blade Runner, Scott has once again tapped into the narrative possibilities of artificial intelligence, and dealt with this subject with grace, grit and sheer audacity. It is truly a wonderful display of acting from Fassbender, and further demonstrates that he is far and away the shining talent of contemporary film acting. Furthermore, recognition must go towards the cinematography of Alien: Covenant. Dariusz Wolski’s work is superlative craftsmanship: each frame is littered with luscious details, from the flora of the distant planet, to the more diverse yet uncomfortable framing of classic Alien elements such as the Xenomorph. Look out for one particular shot that follows through into an ear lobe; unusual yet brilliant, much like the movie it appears in. It may seem like I’m diverting a lot from what this film is about, but with a film that has been shrouded in as much secrecy as this, I’d find myself doing you a disservice by putting forward any details of plot that could well spoil the experience for you. Instead, I have tried as best as I can to prepare you for the film that is to come. And what is to come is a ride that requires a particular attention, a specific amount of trust in the filmmaker. The film is not perfect, of course: some supporting characters have little to do, some narrative decisions appear ludicrous and it can seem like the film is struggling to get out of second gear, with its opening scenes aboard the Covenant appearing more like a spin-off of 2001: A Space Odyssey than Alien. However, these factors do not seriously detract from an entirely unique experience. Ridley Scott is a hugely underrated filmmaker in my mind: a director who imbues such passion and ingenuity into each frame, unwilling to play by the book. While I am somewhat of a stickler for sequels and prequels and whatnot, I find that Scott is really trying something fresh here, revitalising his original story with revelations and narrative shifts that reignite the passion for that pseudo-sexual Xenomorph, so perfectly designed by H.R. Giger. For that, I must give Alien: Covenant huge props, and I look forward to the next instalment. Of which there will be, I can assure you.